Minimalism is being chosen by more and more people these days. The idea is to create an interior with only the most basic necessities. For bedrooms, a bed is usually enough and built-in or hidden cabinets are mostly the additional features. If you are thinking of designing a minimalist bedroom interior, you should check out these great bedroom design idea samples. Modern living is fast living. This is the age where people no longer require a lot of stuff that usually overcrowd a room. 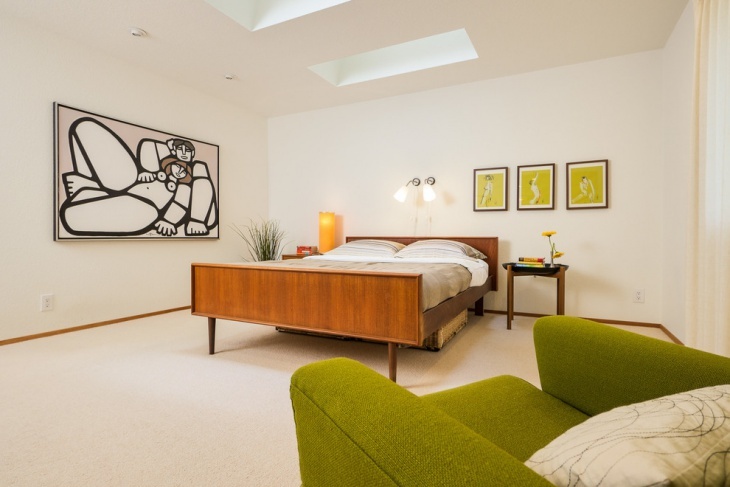 This bedroom is a perfect example of a minimalist design. The simplicity of the white wall and white drapes is matched with the boldness of the black flooring. The red bed surely stands out as it is placed on a white platform, creating and illusion of floating sleeping haven. This bedroom is definitely minimalist in design. 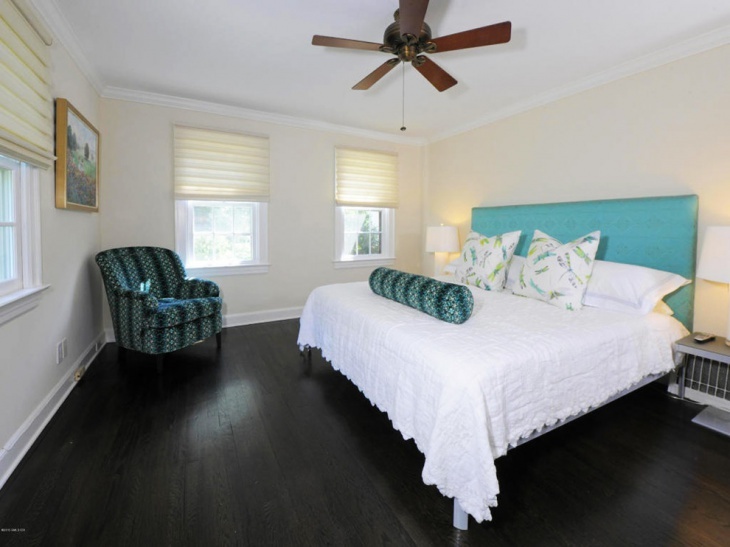 The wood flooring is polished and it matches the bed frame. 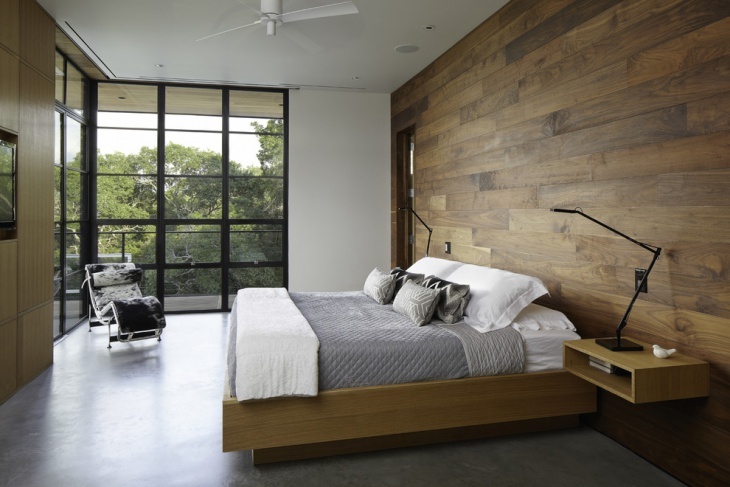 The black sheet and pillows on the bed are the perfect match to the black frames used for the tall windows on the walls that give the best view of the trees outside. The bedroom may be simple and minimalist, but the outdoor scenery definitely is not. 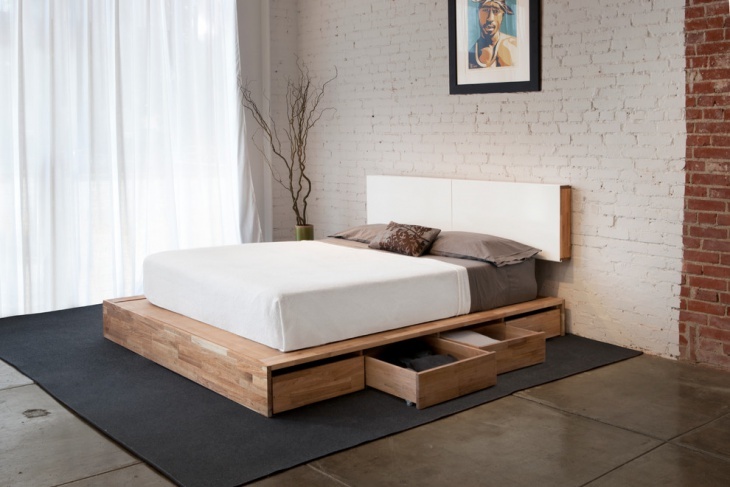 Wood framing is the best choice for minimalist bedroom beds. For this unique bedroom design, woods are used not just for the bed frame but also for the walls and the cabinet. To give some sort of texture balance, the flooring is made of concrete in very light gray color. Tall framed glass windows allow natural light to enter and great views to be enjoyed. This bedroom may be spacious, but it is surely not over crowded with too many features. The big bed is in white and gray motif and placed perfectly on a splashback wall. White ceiling with white fans and white walls with simple artworks. These are the minimalist features that complete the setup. Black and white is probably the most overused combination for a minimalist interior. But even though this combo has been used too many times, it certainly cannot lose its appeal. 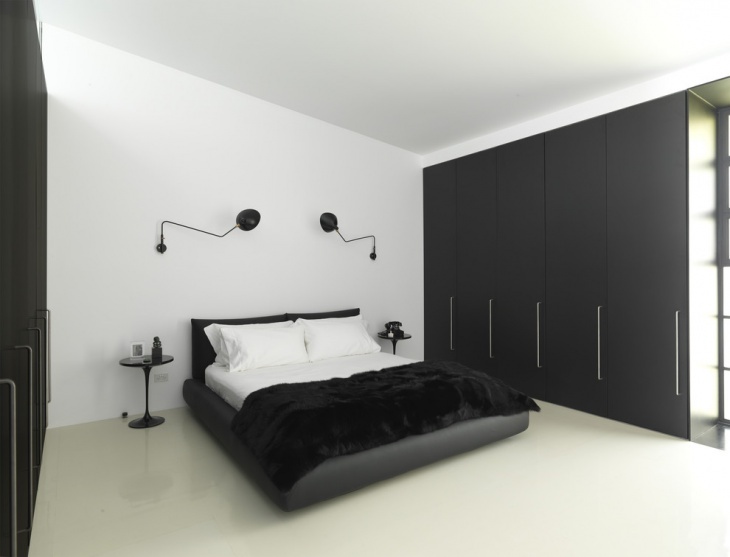 For this bedroom, the white floor and ceiling are matched by the black cabinets. The same combo graces the bed – black frame and white covered mattress. 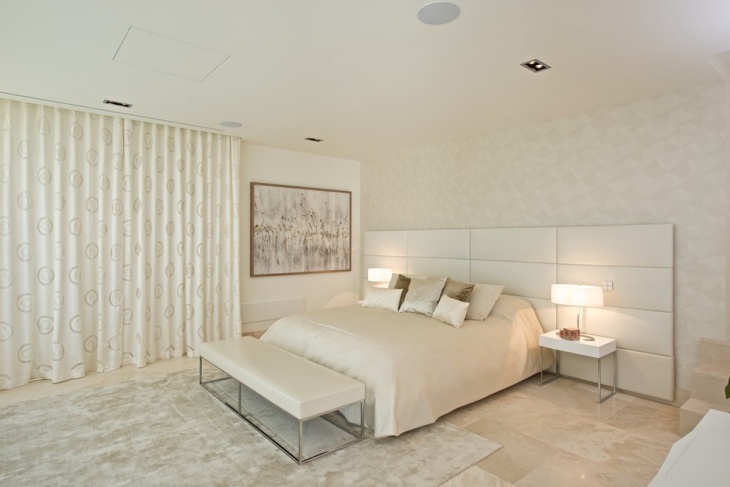 Glass wall may seem lavish – especially so if it gives an amazing view of the natural surrounding – but it can also be used for a minimalist interior bedroom design. 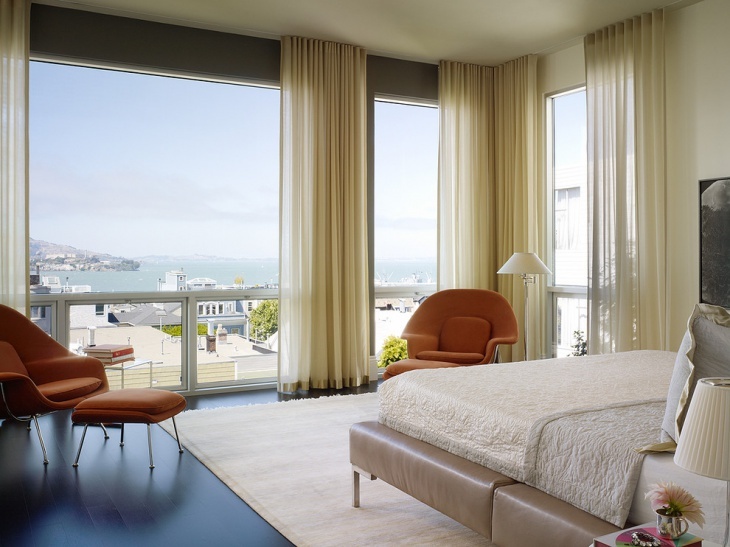 A good example is this bedroom with a simple flesh-colored motif, which is enhanced by the natural light coming from the ceiling to floor glass windows. There is really nothing simple if you have a bedroom with a view – especially a view of the open sea. 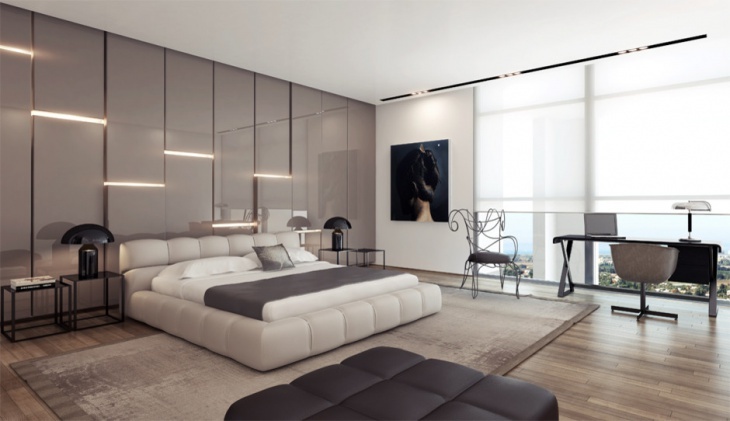 And you certainly would not need much but a bed, a rich white rug, a couple of chairs, a standalone lamp, and curtains for the glass windows, for this minimalist bedroom. 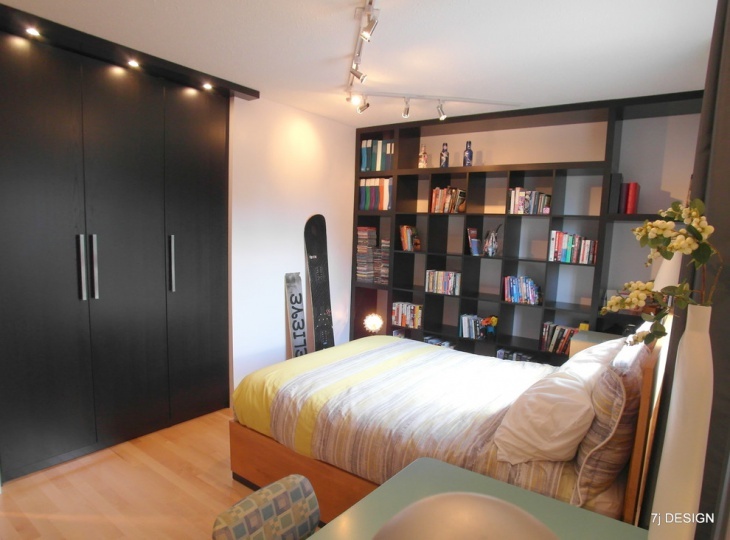 The wooden storage used for this bedroom is a good match for the bed cabinet and frame. This is a real cozy idea, which is enhanced by the choice of wooden flooring, white walls, and white ceiling. Going minimalist does not mean you cannot go colorful. 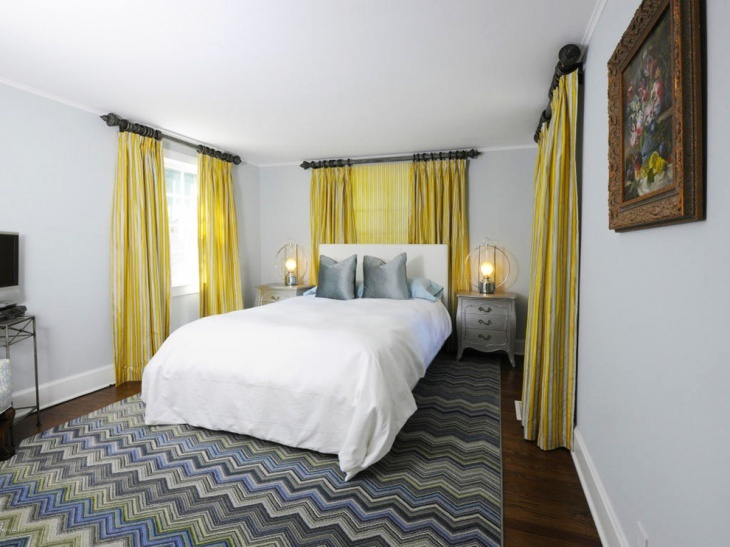 For this girl’s bedroom interior, colors are carefully chosen – blue bed tucked into a blue colored wall, which is squeezed in with white designed walls. The black flooring is decorated with black and white striped rug, and it makes the small red rocking chair stand out. When chic meets minimalism, you would probably end up with a bedroom that looks exactly like this one. White is everywhere – wall, floor, and ceiling. This motif makes the green chair a standout and the bed in the wooden frame looks like the real master of the room. Carefully chosen framed artworks add the chic aspect. Minimalism in design is nowadays seen as the most popular upcoming trend. A lot of homeowners are now choosing to opt for sleek and modest over gaudy and extended. If you are planning to give a minimal touch to your home, the best place to start would be with a minimalist style bedroom. No need to stuff, if you can get an eye-catching look by keeping it at its minimal best.